discovered “swimming”. 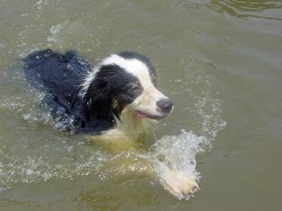 Despite almost drowning under the dock and being rescued by the flyball judge, Ziggy went on to earn both his FDCH and FDCH-S.
After returning home to Maryland, he earned his FDCH-G in September 2006. 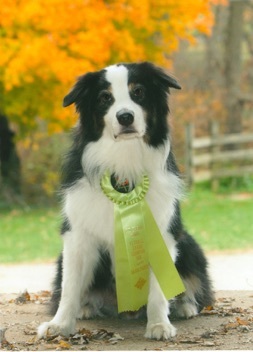 After a few years of racing, Ziggy earned his Onyx at the Jet Set tournament in December 2008 and his FGDCH at HJJ in November 2009. Ziggy was a great believer is “living for the moment”. He sincerely believed that Roxanne belonged to him and that it was his duty to show her how to hunt the neighbor’s cat and how to play with toys. 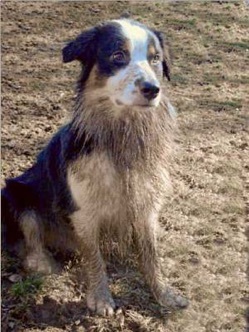 He loved to swim and wasn’t afraid to get a bit muddy. Zig also believed that everyone loved it when he licked them. 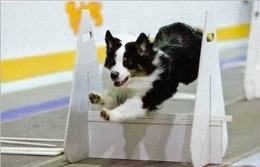 He was in the top-20 Australian Shepherds who played Flyball. Ziggy crossed the bridge on September 19, 2017.